Lovensky came to live at the Fond Blanc Orphanage in April of 2014 with his big brother Givenchy and his mother. His mother has since moved back to Delmas. He is very different from the other kids here but quite a funny and entertaining child to watch. When he was taken to the beach for the first time in his life he took one dip in the ocean and claimed, “Alison put salt in the water!” and demanded to be taken out. He spent the rest of the day sitting on a chair. But we love Lovensky because he’s always entertaining with great silly faces and he loves playing marbles. He also loves to fight like a ninja with his brother Givenchy. Sometimes you can find Lovensky chasing the ducks and other animals around the yard laughing. He likes to imitate the animals around the orphanage. 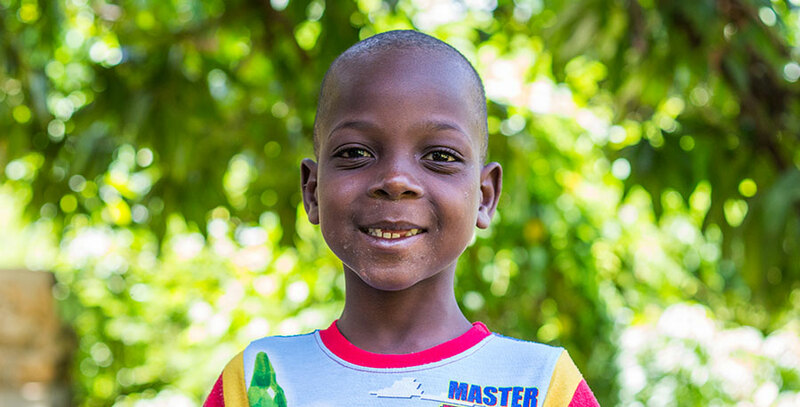 He loves school and learning and hopes to one day become an engineer. His best friends at the orphanage are Clavenson and Jefry.